If you fail to either answer, appear or pay a fine on either a traffic or parking ticket, your license and/or registration may be subject to suspension and warrant may be issued for your arrest. Contact the court if you cannot appear on your scheduled date or if you will be late. The Village of Chester Justice Court is open to the public. The Village of Chester Court is located behind the Police Station at 47 Main St. Chester NY. 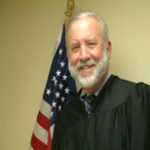 The Court Clerk’s office is located in the Village Hall. 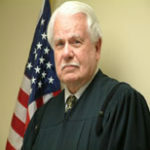 The court clerk can be reached at (845)469-8584. Traffic Court is in session on Thursday nights at 7:00pm (Except the 1st and 2nd Thursday) and the 2nd Monday of the month at 7:00pm. The Court is a place of business and as such, persons should dress accordingly. Beachwear, cut offs, muscle shirts halter/tube tops, are prohibited. NO Weapons of any type. NO Cutting instruments of any type—includes knives, scissors, or anything with a cutting edge, etc. NO Tools of any type. NO Aerosol sprays or containers—includes mace, pepper spray, hairspray, shaving cream, etc. NO Electronic device or equipment of any type—includes cellular (CELL) telephones, personal assistant devices (PDAs), Palm Notepads, Blackberrys, pagers, iPods or Walkmans (or any equivalent MP3 or CD players or recorders); radios or cassette players or recorders; or hand-held or key-ring games; computers; video games as well as video games of any type. NO Photographic or audio-visual equipment of any type—includes cameras, video or audio recorders or players. NO Permanent markers or markers of any type. Advise Court Personnel if you have any electronic implanted medical devices. While Court is in session, recording is in progress. Please be seated and remain quiet. To plead INNOCENT and request a trial, fill out the back of the ticket and mail it Certified Return Receipt Requested to the above address. The court will mail a notice when a trial date is set. To answer a traffic Parking Ticket in person, check the date and time on the bottom of the front of the ticket. This is your appearance date/time. Report to the court at the above address. To answer a traffic ticket (other than a Misdemeanor) by mail, look on the back and follow the directions. Misdemeanor charges MUST be answered in person. ​Section “A” is for a plea of GUILTY. The court will then notify you by mail of the fine. Please make sure your name and correct mailing address is filled out. Mail the ticket by Certified Mail (return receipt requested) to the court address above. Section “B” is for a plea of NOT GUILTY. Upon entering a plea of not guilty, the court will send you a notice of “Appearance/Pre-Trial Conference”. This is a conference with the Prosecutor to attempt to reach a disposition. If no disposition can be agreed upon, then a trial date will be set. The court will then notify you by mail of your trial date. Please make sure your name and correct mailing address is filled out. Mail the ticket by Certified Mail to the court address above. You are entitled to an Attorney at every stage of the proceedings. To answer a traffic ticket in person, check the date and time on the bottom of the front of the ticket. This is your appearance date/time. If the driver is under the age of 18, a Parent or Guardian must also complete the bottom portion of the traffic ticket. To file a claim in the small claims part, you must first make sure that the court has jurisdiction over the defendant (the person you are seeking damages from) that person must live or conduct business within the Village of Chester. The claim is limited to $3000.00 or less. To commence a small claim, you must file a complaint using a specific form. The court has this form you must use. You must file the form in person at the court.